The Estuarium is located 35 miles from Mobile. From I-10, take the Dauphin Island/Tillman's Corner exit (Exit 17-A). Travel south down Rangeline Road/193 to Dauphin Island. Take a left at the water tower on to Bienville Boulevard. After 2.2 miles, you will see the Estuarium on the left. Parking facilities available. 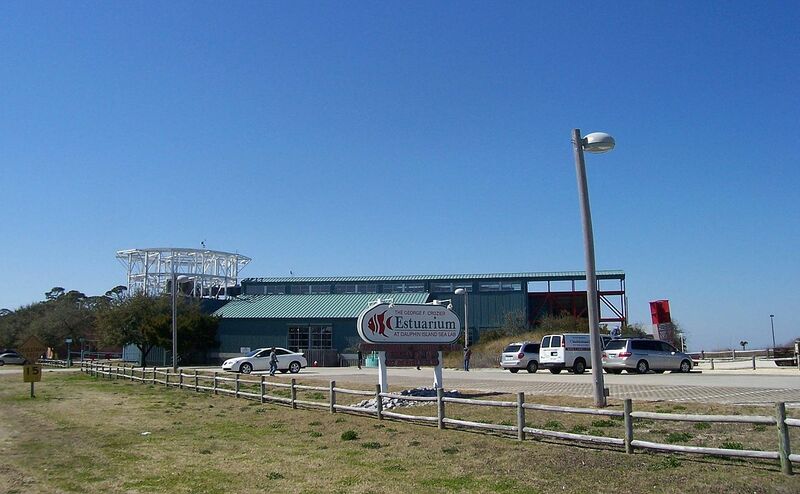 The Estuarium is an educational facility that highlights the four key habitats of coastal Alabama: the Mobile Tensaw River Delta, Mobile Bay, the Barrier Islands and the Northern Gulf of Mexico. It includes an Exhibit Hall and Living Marsh Boardwalk. It showcases the plants, animals, and other natural resources and surrounding marine habitats, found in Mobile Bay, the fourth largest estuary system in the US. See what awaits you as you learn more about the unique area of the Alabama Coast. This public aquarium is all about educating the public about the local area and unique natural resources and marine habitats.